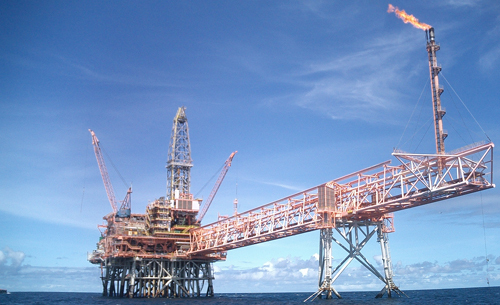 The offshore industry is a vital part of the world we live in, and new developments in this area are frequently the subject of national headlines. Recently, BBC News has reported how a controversial venture intending to frack in the Irish Sea has been proposed by Dr Chris Cornelius, the founder of the shale gas firm &apos;Cuadrilla&apos;. Fracking news has been previously featured upon our blog, but this latest story would represent the very first pursuit of offshore shale gas to take place. As mentioned, the environmental implications of fracking are rather contentious in certain circles, and this new proposal could therefore be many years away from total resolution. Regardless of its affect upon the environment, the process of fracking is incredibly innovative and, should it go ahead, further refinements will doubtless be needed to implement this new offshore plan. The offshore industry as a whole has required a substantial amount of technical expertise over the years to continue to maintain its efficiency, and consistently cutting-edge inventions have always been required to move with contemporary times. Here at European Springs, we are a bespoke spring manufacturers that has regularly provided reliable springs for the offshore industry, and we have loaned our problem solving skills to a range of offshore conundrums that were encountered in the past. One of the most notable of these occasions occurred when a Norwegian client of ours found themselves with drill bits that proved unsuitable for collision against hard rock pockets. A new solution was needed to develop a tool that could lessen the load upon the drill bit when it experienced such impacts, and our skilled team of engineers were able to design such a mechanism using a number of high quality compression springs to relieve the excess pressure. Despite high temperature defeating our initial efforts, the problem was soon resolved permanently thanks to the creation of a pioneering spring material to withstand this extreme heat. Here at European Springs, we welcome the high expectations that many of our customers place upon our springs, and pride ourselves on rising to every challenge that faces us. It was this commitment to high quality service that allowed us to overcome the setback faced by our offshore Norwegian client, and we apply this same engineering excellence to all of the projects we take on. Whatever industry you operate within, and no matter what sort of springs you need, we&apos;re able to meet your every need. Contact us now to find out more.